Celebrating 18 years of bringing language learning to life! 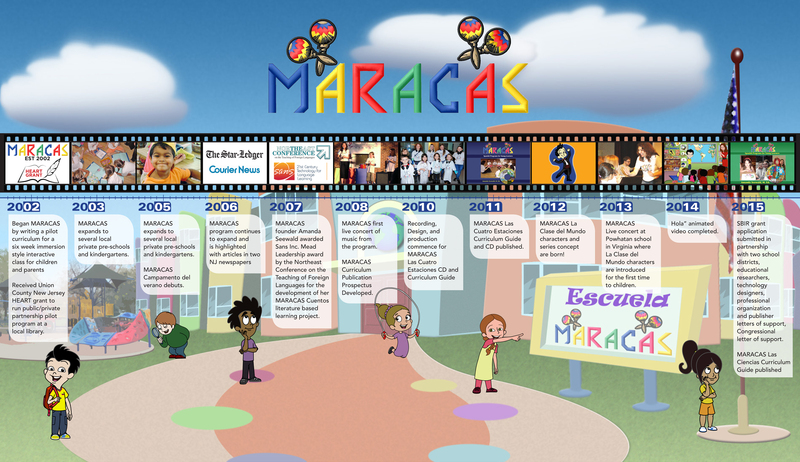 MARACAS began as a grant funded pilot program developed, written, and taught by Amanda Seewald. 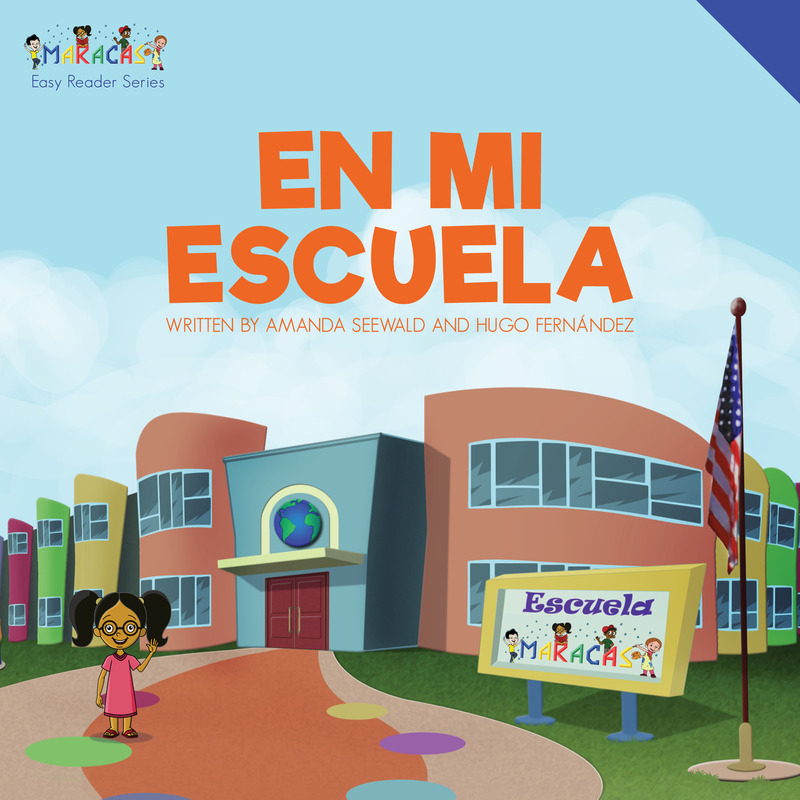 After seeing the great demand for this program, Amanda found a home for MARACAS both within the local recreation department and as a part of the curriculum and extra curricular offerings as several private preschools and elementary schools in New Jersey. MARACAS has grown and since 2002 serves hundreds of students locally and now even more nationally each year to help them see their linguistic potential. Students who learn in MARACAS classrooms come out with a love of language learning and a strong sense that learning a language is a fun adventure. The MARACAS curriculum is now available and being used in all types of language classrooms across the country. The flexibility and ease with which MARACAS can be instructed is what helps grow meaningful language learning experiences for children. What does a MARACAS class look like? 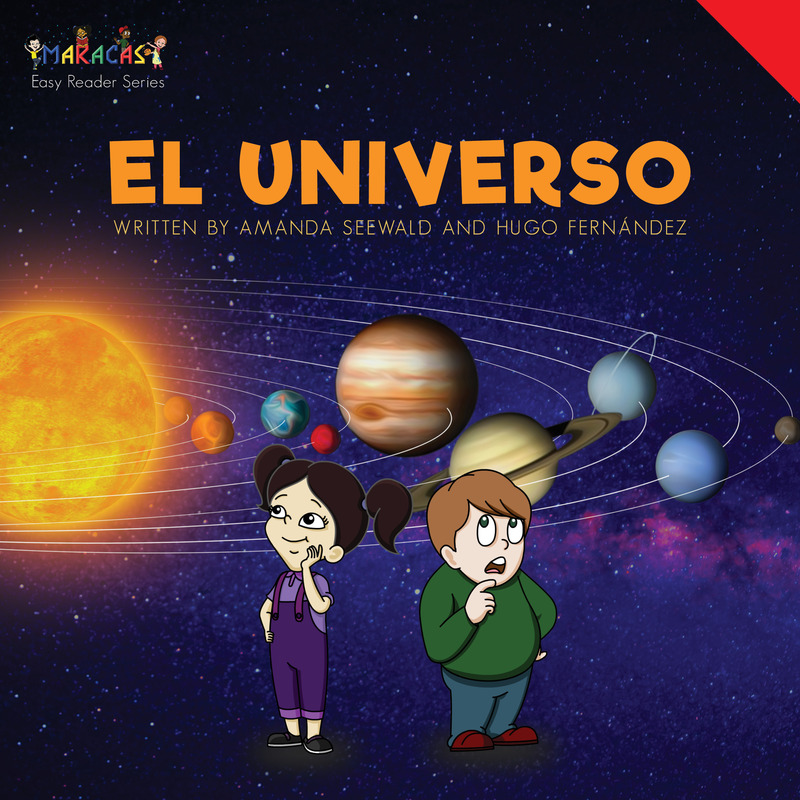 Thematic and Content based Spanish language for children ages 3-10. 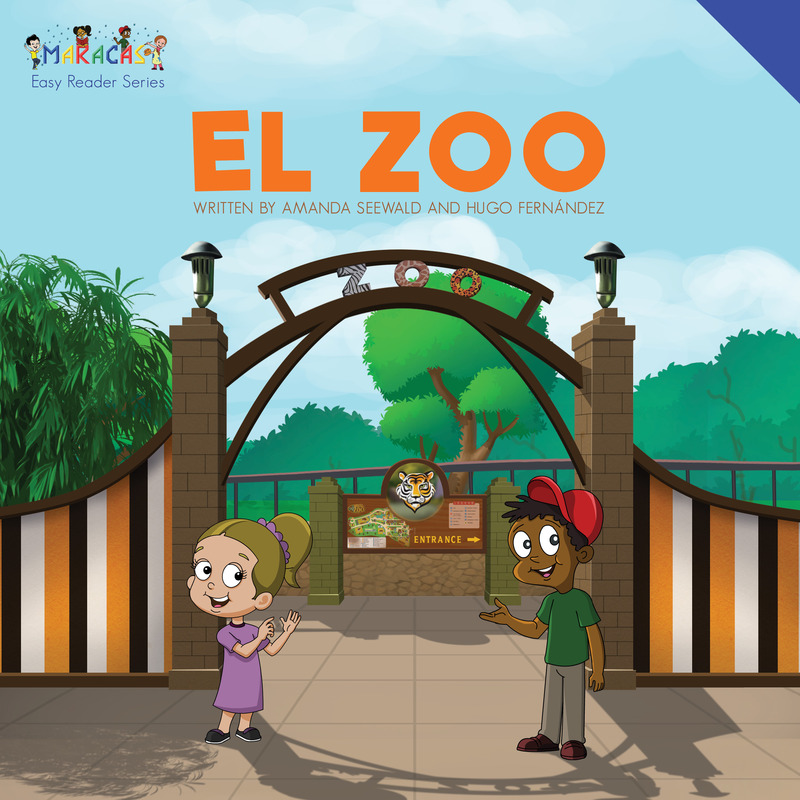 Music, interactive play, literature and crafts expose children to the sounds and rhythms of Spanish in a fun and exciting way. 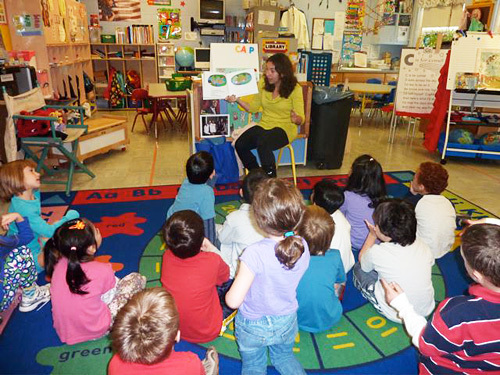 Uses a multiple intelligences approach where the teacher guides students through exploratory learning and activities. 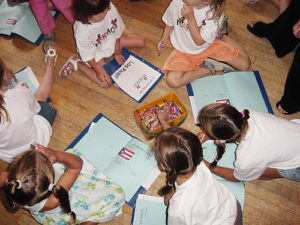 In schools and in after school and extra-curricular programs, each weekly themed class is between 30 and 45 minutes and includes both whole group and paired activities with a hands-on approach that encourages exploration and investigation in Spanish. The teacher uses repetition and motion to help participants become familiar and comfortable with words, phrases, and songs in authentic conversational patterns. MARACAS is extremely flexible and can be adjusted to meet the needs of your curriculum. The program can run either once or twice weekly. The timetable and breadth of the class can be either one semester or a full school year. “She always practiced the songs and dance you taught at home. It was such a a pleasure to watch her perform. She loved to read the Spanish book she made to us and she tries to teach us in the same way you teach her!